Teaching quite good. Voice volumn vades at times. 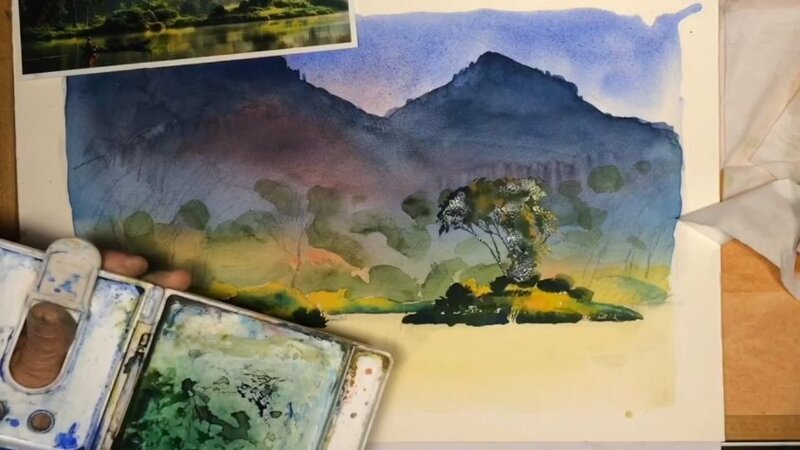 Steve, I watched the watercolor video with 3 oil painters today and we really enjoyed it; however in several places we wanted to yell out,"Steve move your head." Also when turning the paper to cause watercolors to run, we could not see what was happening as paper was not on camera. Thanks and they are looking forward to some lessons on painting landscapes in oil.